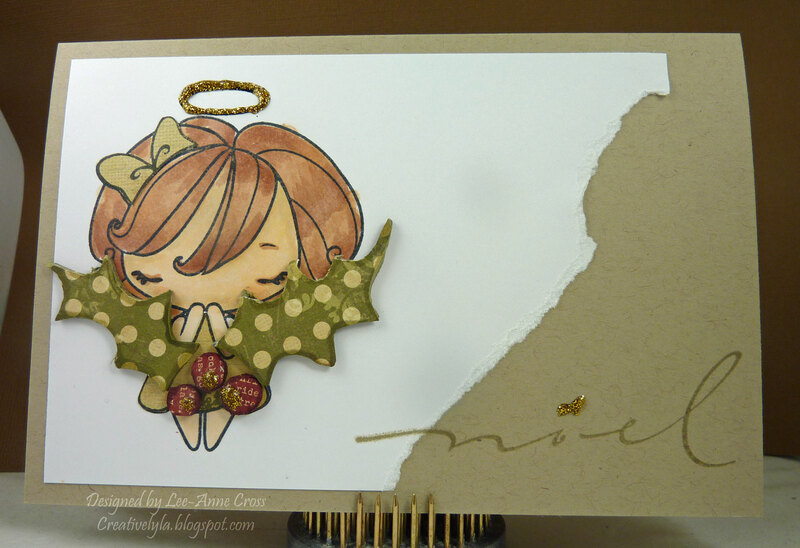 Over at Splitcoast today it’s the CAS challenge – paper piecing, and the Technique Lovers challenge – covering chipboard with designer paper. Little Anya has been stamped and colored with Copics. Next her dress and bow were paper pieced. Then, I took some chipboard holly and covered it with co-ordinating designer paper. The edges were also inked with Copics. Next, I ripped the paper to add a little interest and stamped the sentiment over both pieces of paper. Anya’s halo has been highlighted with Stickles, I also added some Stickles to the hollyberries and the accent over the “Noel” sentiment.